Finding new cars for sale in Waterdown is easy when you choose Budds’ BMW Oakville. Our dealership is located in very close proximity to Waterdown so residents can have confidence knowing that they don’t have to travel far to find new cars for sale in Waterdown. We are located on the South Service Road in Oakville, which is easily accessible from the QEW at Bronte Road. 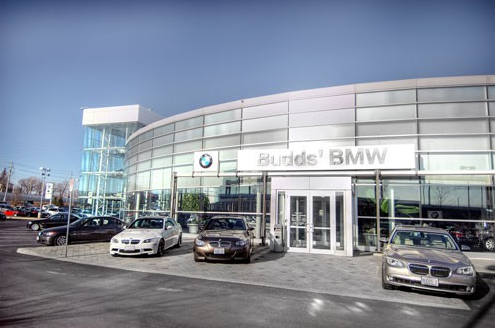 Budds’ BMW Oakville is a reputable and respected auto dealer that specializes in providing high quality new and pre-owned BMW vehicles to the public. We take great pride in our selection of fine BMW vehicles and our world class customer service. Continue reading this page to find out about some of the new cars for sale in Waterdown that are available at Budds’ BMW Oakville. The BMW 3 Series is the embodiment of a sporty sedan. In its sixth generation, this irresistible combination of dynamic design, unrivalled agility and excellent everyday practicality is as impressive as ever. Available in classic rear-wheel drive or intelligent xDrive all-wheel-drive, the 3 Series features powerful, high-efficiency gasoline and diesel engines with BMW EfficientDynamics technology that guarantees outstanding dynamics and low fuel consumption. An elongated silhouette, distinctive wheel housings and crease lines, chrome surrounds – the BMW 6 Series Gran Coupé is not afraid to show what it has to offer: elegance, exclusiveness and spirit. The cockpit provides a glimpse of selected materials. Finely structured leather and ergonomically arranged displays. Exclusive equipment from BMW Individual helps to make the vehicle absolutely unique. The ideal place for enjoying the full force of the award-winning BMW TwinPower Turbo engines from BMW EfficientDynamics. For more information about the new cars for sale in Waterdown that we have in stock at Budds’ BMW Oakville, please feel free to continue browsing through our website. Also, check out our blog page for more interesting content and read up on our service team, parts department, and other services we offer at Budds’ BMW Oakville. We can be reached at (905)845-3577 or by filling out our contact form.